DOODLE YOUR GREATEST ADVENTURES! If you can imagine it, you can doodle it: *Pirates and Treasure! *Cowboys and Wild Horses! *Knights and Castles! *Zombies, Vampires, Spacemen and Aliens! *Wizards and Dragons! 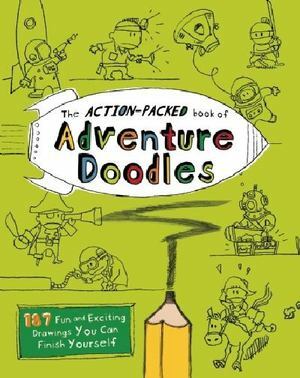 Make every doodle an action-packed thrill ride. Have fun! Draw whatever crazy scene you want. Each page has a new doodle idea already started for you.